Welcome to our very first online paper. Here is our guide to this edition. Every week we will curate a selection of the best stories, videos, sounds, pictures, reviews, tools and techniques from across the web that we hope will bring you ideas and fresh thinking to top up, invigorate and replenish your own potential to flourish and thrive – at work and in your larger lives. The paper.li app we are using to make this is an exciting way to curate a collection of web-based stories around a theme, in our case, our passionate quest to help build a world of happier people, who thrive on change and inspire the people around them. It does not however give us any editorial control over how these stories are arranged and exhibited – its machine technology has chosen the section headings and what to group in them. So here is our index for this week’s edition, using the section headings we would like to be able to provide. We hope this gives you a better map to find your way to the ideas you are most interested in. Here are some highlights in this week’s collection . . .
For today’s working women this is not such a winning formula. ~ Sheryl Sandberg eloquently raises more difficult issues about belonging and having a place at the table in her TedTalk Why We Have Too Few Women Leaders. This presentation is part of the conversation about the barriers to flourishing that women continue to face that has recently been very alive in the states from Marie Slaughter’s article Why Women Still Can’t Have It All, and in the UK around the debate asking Why is theatre so male, white and middle class? ~ An introduction to the highly recommended Happiness At Work Survey, newly-launched last month by Tony Hsieh of Zappos & Nic Marks of the new economic foundation. You can also see an earlier video of Nic Marks’ The Happy Planet Index TedTalk in videos. 5 – Have a plan to keep people motivated. Not earth shattering in its new thinking but we wonder how many leaders have these five things on their habitual range of management approaches? ~ RSA Animate – Drive: the surprising truth about what motivates us is exactly what it says it is says. Enjoy. ~ And Petra Kuenkal argues we need both balance and mindfulness to create and keep sustainability in our lives as much as in our leadership in her article Sustainability Leadership: how can we combine flatland and wonderland? ~ James Levine advice for us To Stay On Schedule, Take A Break – ideally every fifteen minutes in fact. We’d love to hear from anyone who works from a computer who actually comes close to achieving this! Our favourite reference for understanding Happiness At Work we know: Jessica Pryce-Jones practical, intelligent and helpful book of research and practical ideas: Happiness At Work – Maximising Psychological Capital for Success. Hear her talking about its main ideas in this Happiness At Work clip. 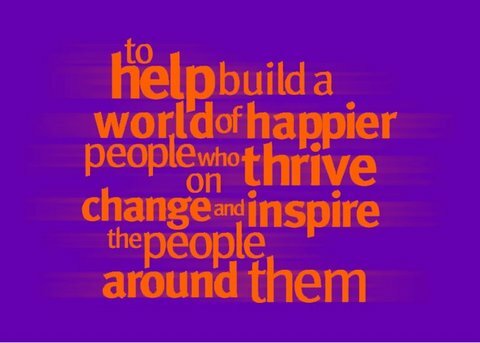 You can take the online Science of Happiness iOpener People & Performance Survey that accompanies these ideas to get your own free report about your happiness at work. ~ Popova reviews the headline stealing latest addition in the UK to the happiness literature, Oliver Burkeman’s The Antidote in Against Positive Thinking – Uncertainty as the Secret of Happiness. ~ Prompted by Burkeman’s book, Popova provides a great précis of Learned Optimism: Martin Seligman on Happiness, Depression and the Meaningful Life. Seligman is one of the most important thinkers in Positive Psychology, and we still think his model for what he emphatically calls Flourishing is one of the best frameworks on offer – a combination of Positive Emotion + Engagement + Great Relationships + Meaning from what we do + a sense of Accomplishment. If we want to increase our happiness one of the best places to start is by considering which of these five might me undernourished, and try to do something to improve it. ~ We have also included Maria Popova’s 7 Must-Read Books in the Art & Science of Happiness – five of these are on our favourites list, two we haven’t read yet. ~ “Good music can act as a guide to living.” This quote from John Cage begins Popova’s review of his new biography Where the Heart Beat: John Cage, Zen Buddhism and the Inner Life of Artsists. ~ Bobby McFerrin’s Demonstrating the Power of the Petonic Scale is 3minutes of pure delight. ~ In Shilo Shiv Suleman’s Using technology to enable dreaming TedTalk of animated iPad wizardry, she makes us think about how to use our technology to step further inside our experiences, rather than pulling ourselves away and outside them. ~ And quite possibly the happiest band on the planet Pink Martini’s Hang On Little Tomato – no pictures in this video, just the music to enjoy. We really hope there is something in this collection that you will find both helpful and enjoyable. This entry was posted in book, Creative Learning, Happiness & Wellbeing At Work, Leadership, music, RSA talks & videos, sound, sounds like happiness, TedTalk, theatre, Unhappiness and tagged Book Review, collaboration, creative learning, ensemble, happiness, Happiness At Work, happiness at work survey, happiness experts, leadership, managing time, music, new economics foundation, orchestra, personal development, professional development, self-mastery, sound, team working, technology, Unhappiness, Wellbeing, women leaders, work-life balance. Bookmark the permalink.